Den iranske Ayatollah Hassan Sanei, der er leder af en magtfuld statslig velgørenhedsfond, har forhøjet dusøren for at dræbe forfatteren til '"De sataniske vers" med knap to millioner kroner. Dermed er dusøren tæt på 19 millioner kroner.I 1989 udstedte den nu afdøde iranske åndelige leder, Ayatollah Ruhollah Khomeini, en dødsfatwa mod Salman Rushdie, efter han havde forfattet bogen "De sataniske vers". Khomeini mente, at bogen var blasfemi. Men efter kraftig international kritik blev fatwaen mod Rushdie trukket tilbage af det iranske styre, der lovede, at den ikke blev håndhævet. Det mener Ayatollah Hassan Sanei nu er en fejl. - Hvis imamens ordre var blevet udført, ville de videre konsekvenser i form af karikaturer, artikler og film aldrig være blevet til virkelighed, siger Ayatollah Hassan Sanei til flere medier. Salman Rushdie måtte i mange år leve under jorden som følge af fatwaen. Han har netop udgivet en erindringsbog, der fokuserer på denne periode. English PEN deplores the statement of Iranian cleric Ayatollah Hassan Sane'i of the 15 Khordad Foundation, which constitutes a new threat to the life of Salman Rushdie. Jo Glanville, director of English PEN, said: 'This is a cynical attempt to exploit the violence of the past week. It seeks to incite murder, sow division and further escalate an international controversy. Writers and members of PEN expressed their support today for Salman Rushdie. The 15 Khordad Foundation is an Iranian Religious Foundation. Its name refers to a date in the Iranian religious calendar, corresponding to the events of June 1963 when Ayatollah Ruhollah Khomeni was arrested by the Government of Shah Mohammad Reza Pahlavi. The Foundation initially issued a US$1 Million reward for the death of Salman Rushdie on 14th February 1989, the day that Ayatollah Ruhollah Khomeni issued the fatwa against Rushdie. The reward offered was periodically increased during the fatwa years. However, when the Iranian Government announced in 1998 that it would no longer seek the death of Rushdie, the bounty offered by the Foundation remained in place, with Hassan Sane'i reaffirming that that it would pay the reward to anyone who succeeded in carrying out the fatwa. The reward was increased to US$2.8 Million in 1999, and to US$3 million in 2003. In his latest statement, Ayatollah Hassan Sane'i increased the reward offered, and said that "these days are the most appropriate time to carry it [the murder] out". English PEN is the founding centre of PEN International, a world-wide association of authors and literary professionals, promoting free speech and literature around the world. 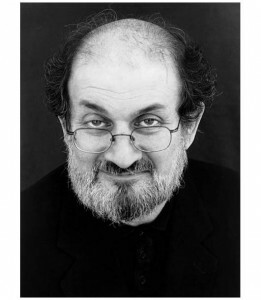 Salman Rushdie received the 2010 Golden PEN award from the board of English PEN. You can watch his acceptance speech online.